UPDATE: We are staying in the backyard! The forecast looks much better. We are going for it! We are NOT SOLD OUT. Plenty of room for everyone! The Ken & Brad Kolodner Quartet with special guest Bill and The Belles!! ​Join Ken & Brad Kolodner with Alex Lacquement & Rachel Eddy for an evening with special guest Bill and The Belles in an intimate backyard concert! Join the Kolodner’s for an intimate backyard concert featuring some of the finest old-time musicians around. This is our 9th year with previous guests including The Honey Dewdrops, The Brother Brothers, Erynn Marshall & Carl Jones, Richie Stearns & Rosie Newton and Furnace Mountain. Widely known as one of the top hammered dulcimer players in the U.S. and a fine old-time fiddler, Baltimore’s Ken Kolodner is joined by his son, Brad Kolodner who has rapidly gained national recognition for his driving yet subtle old-time clawhammer banjo playing. Joining Ken & Brad will be Rachel Eddy on fiddle, guitar and vocals and Alex Lacquement on bass. What began as a project to explore the space created between hillbilly and urban, between vaudeville and down home, has arrived somewhere entirely new. Bill and the Belles offers a contemporary reimagining of a bygone era, breathing new life into the sounds of early country music. At the foothills of the Blue Ridge and the forefront of old-time music, Bill and the Belles continue to further the music traditions of their region. From sentimental Southern ballads to the popular songs of Tin Pan Alley to regional fiddle breakdowns, a Bill and the Belles show is a celebration of the diversity country music once represented. Bill and the Belles play alongside America’s top roots music artists as the house band for the historic radio program Farm and Fun Time presented by Radio Bristol and the Birthplace of Country Music. 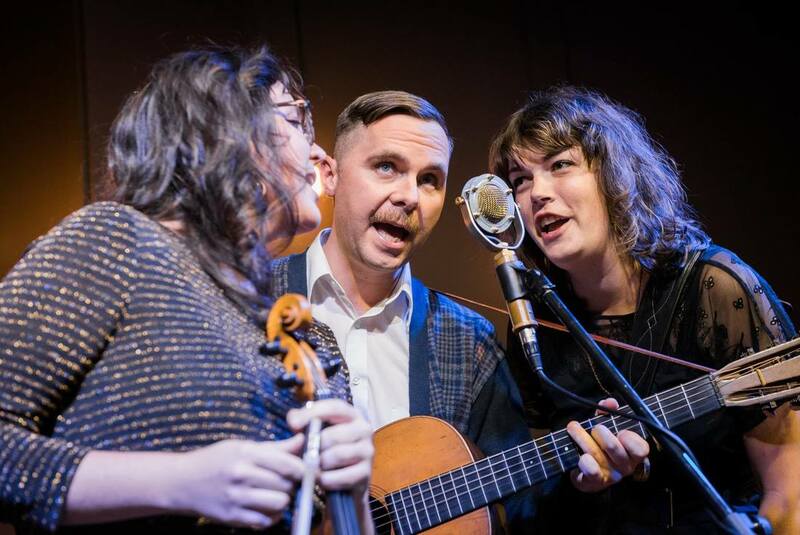 Lifelong musicians Kris Truelsen, Grace Van’t Hof, Kalia Yeagle, and Karl Zerfas bring to the stage an uplifting show unlike any other, full of humor, high spirits, and all-around revelry. It’s clear this group shares a rare musical connection and deep love for the music, and their excitement is contagious. Or call 410-746-8387 to make reservations via credit card.